Alfons Hug, well known for not mincing his words and about to depart for the end of the world, droned: "Bamboo, well there's certainly no bamboo here!" As the curator of the Patagonian Bienal Al Fin del Mundo in Ushuaia in the Antarctic and former director of the São Paulo Art Biennial he is an expert on South America and should know. After all, he's been familiar with Brazil for a good 20 years now. Bamboo, as a glance at the world map in the Bamboo Museum in County, Province Zhejiang, will tell you, shoots up along a climatically defined belt that runs round the entire globe. The vegetable "bamboo-belt" includes India, the Congo and precisely Brazil, too. When you think of the thickly-wooded Amazon basin you initially think of hardwood when it comes to materials. Thick straight timber - the stuff of loud chainsaws and muscular naked torsos; Caramba: the stuff of men! "Bamboo as a feminine, pliant huge weed simply gets forgotten", complains Celina Llerena. She founded and directs the private bio-architecture "school" of Ebiobambu and she frowns sadly. Maybe it is this cultural prejudice, and it is not restricted to Brazil, that is the reason for China having succeeded in increasing the acreage on which bamboo is cultivated by more than 25 percent to 4.2 million hectares in only 20 years, while other countries have done nothing - or as good as nothing - she suggests. Between Rio Grande del Norte and Rio Grande del Sul there is at any rate not much to admire by way of systematically planted and resolutely expanded bamboo plantations. The debate on the gleaming tubes is complex. Some hate bamboo for the insufferable look of its knotted rods, others because of the almost missionary zeal of those who champion its use. Yet in an age of swiftly dwindling resources it would be highly negligent if designers snobbishly ignored it out of some antipathy for its look, or because of some fusty prejudices that it belongs in an eco-corner. Architects and designers such as Simón Vélez, Rocco Yim and the Bambuco Group use the material to create quite fantastic structures, and yet it always has a touch of exoticism about it. When, at the beginning of the 20th century, William Edgar Geil traveled round China and sang a song of praise to the Chinese in his off-beat travelogue "A Yankee on the Yangtze" (1904), which nevertheless sold like hot cakes, he stated tersely and summarily: "After crossing a bamboo bridge, you can sit on a bamboo chair at a bamboo table in a bamboo house, with a bamboo hat on your head and bamboo sandals on your feet. Using bamboo chopsticks you eat a tasty salad of bamboo sprouts and wash it down with a strong shot of bamboo wine." This typically pragmatic North American statement offers greater promise than all the manifestos of the sandal-wearing apostles of sustainability. 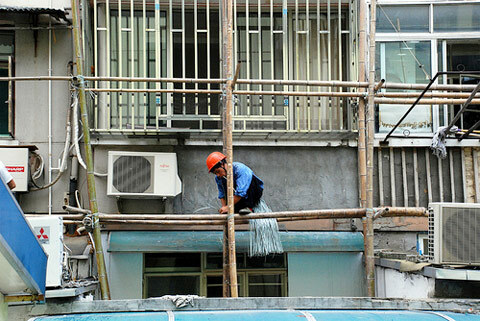 Celina Llerena believes the material's future is mainly to be seen in architecture, where bamboo as scaffolding and shuttering has a presence on building sites, at least in Asia. 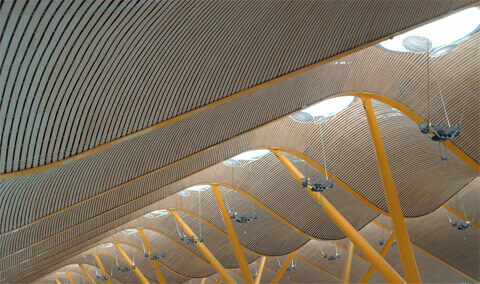 And the giga-grass can also be used for screens and paneling, as has been demonstrated of late so impressively over veritable kilometers in Richard Rogers' Terminal 4 at Madrid Barajas airport. The star architect, or rather Baron Rogers of Riverside (of Chelsea in the Royal Borough of Kensington and Chelsea) nonchalantly considers bamboo an obvious choice, one that aesthetically emphasizes his own ambitions and that can be decoratively used: "Bamboo as a suspended ceiling for our curved roof has the right soft and sealed look to it," he says. 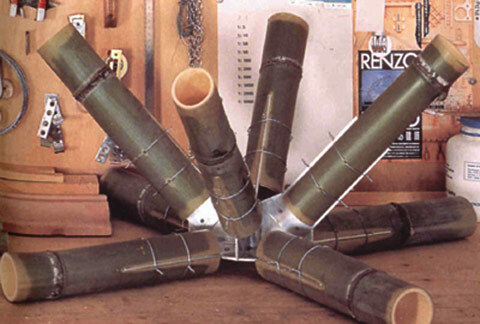 Celina Llenara has far more in mind: She has a mission on behalf of bamboo as a building material and envisages structures built almost entirely of it. "Structural engineers never believe me that it's possible. ‘Spans of three meters? Never! ', they say. Okay, so I go for four meters - and it works," she says and bursts out laughing. "They look at me as if they wanted to say: Okay, we can see it, but it still isn't real, as there is no computing it." In this respect, the still-young field of bamboo structures suffers in particular from not being included in academic curricula. Experts are in fact few and far between and publications such as the weighty compendium "Bamboo & Cane Crafts of North East India" with its 350 pages, revised and edited by M.P. Ranjan in 2004 on behalf of the National Institute of Design in Ahmedabad, are true gems. Devesh Mistry, who graduated from the National Institute, dampened my expectations as regards a renaissance in bamboo on the sub-continent when we chatted over a cup of milky tea in Delhi last winter: "We admittedly have an immense tradition, as Prof. Ranjan's book clearly proves, but hardly any younger-generation designer wants to use the stuff today. Here in India, bamboo simply seems old-fashioned. 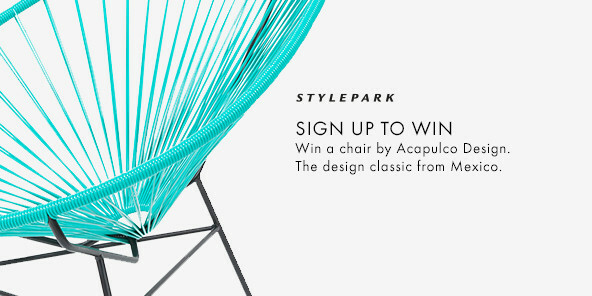 New designers tend to use it for decorative purposes, for example in interior design." Mistry, who worked as a high-tech designer at Fiat, is a member of the side that shies away from the material's retro aesthetic, which is an understandable response among those who in the threshold countries tend to focus on Apple or Philips rather than local, ossified crafts tradition. Brazil also has to contend with this identity problem, so let's swiftly return to the city at the foot of the Sugarloaf Mountain, where Kosrow Ghavami from the Ponticicia Universidade Católica sees things very differently: As one of the old guard utopians of the 1970s he envisages bamboo purely as a material of the future - perhaps precisely because, in Brazil, it has no history. "Sometimes a new and undisguised approach is all it takes to achieve the most amazing results," he says. In his tiny office brimming with professional literature he is bending a small cane, full of zeal. Outside the window: luscious bamboo grass, standing fifteen meters tall. 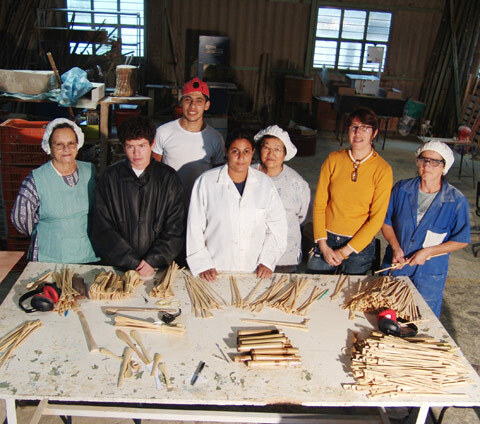 In the workshops of the Pontifical University, Ghavami and his students are assiduously working on the task of assembling automotive support structures made of bamboo. Constantly subjected to massive forces and torsions, the special challenge for the automotive sector is obviously in the connections. Ghavami, who began his career as a steel structural engineer in southern England in the 1960s, does not seem too bothered: "Compared to today's level of expertise, we really didn't know a whole lot about steel back in the Sixties. 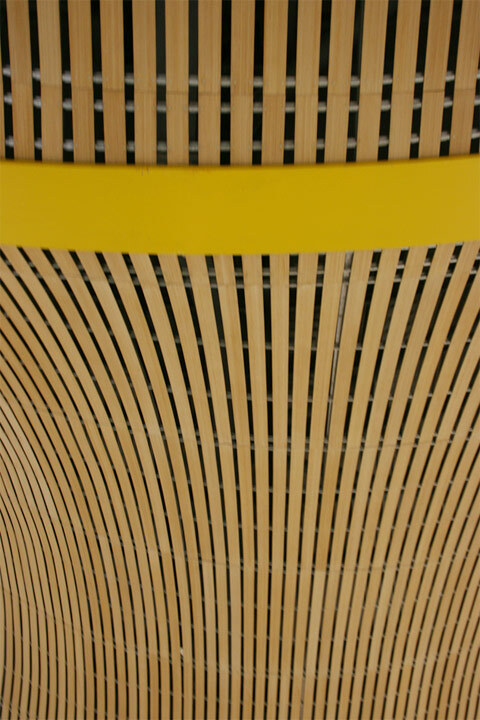 As regards bamboo, we are just beginning to realize its huge potential, something which we will not be able to incorporate in large-scale industrial processes for some time yet. This is not to say that it shouldn't be put to commercial use today. 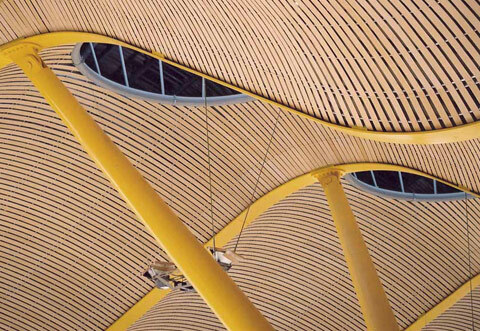 Its tensile strength is one of bamboo's most outstanding characteristics", the professor illustrates his vision. The drawback: There simply isn't enough local material going around to foster thinking on a bigger scale, or even just for research. 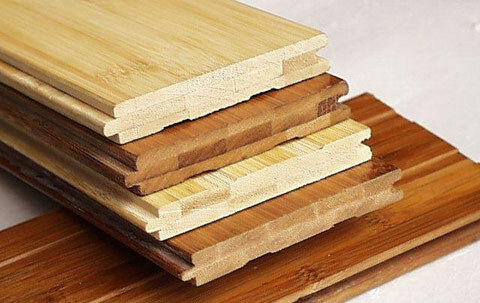 Today, the industrial application of bamboo is largely limited to its use in chipboard, for example, in truck planking or bamboo parquet flooring, something that has sparked entire industries in China over the last ten years. As synthetic resin is added to the process - often in scandalous amounts - the processing methods are anything but ecologically sound. A wealth of experience is being gathered nonetheless and important insights are gained for new horizons. It should really be only a question of time before bamboo liberates itself from its niche existence in Brazil too. 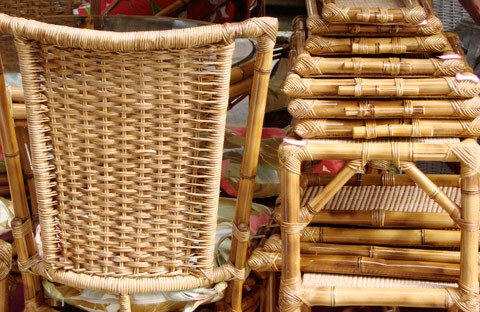 What are urgently needed here are sweeping initiatives for the cultivation of bamboo. In this context, the fact that the Brazilian government has now decided to reduce the amount of timber felling on the Amazon River is welcome news. The sweeping PR headline, published by official sources on April 2: "Brazil already reduced timber felling in Amazon basin by 45 percent in recent months" does not yet herald a paradigm shift, but it does come close to reality - closer than ever before, that is. The new Minister of the Environment, Carlos Minc, shows surprising verve in dealing with the topic. In his inaugural address he outlined: "How we do this? 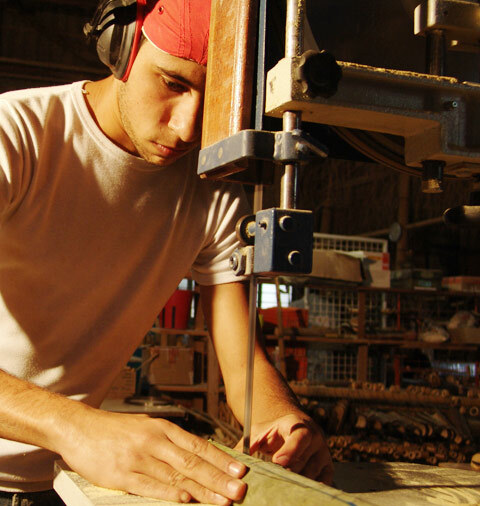 Firstly, we cap the loans of any wood manufacturers using illegal methods. Secondly, we have significantly increased the cruising radius of state police patrols to this end. Thirdly, we observe the action using our national weather satellites as well as a satellite in Japan. Fourthly, we have put in place permanent check points on highways BR 163 and BR 364 as these are the only possible connecting roads for transporting timber out of illegal logging locations." Whatever your stance on political propaganda may be - this is taking a decisive step away from hardwood dumping policies and embracing a trend that may eventually lead to large-scale sustainable cultivation policies - including bamboo. 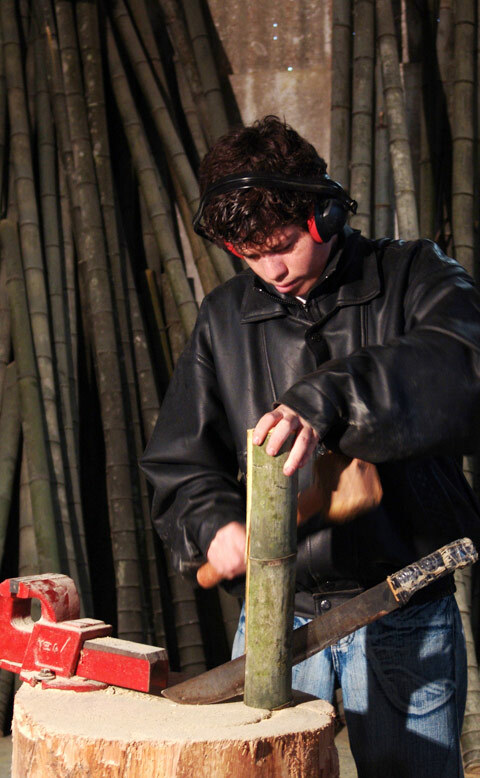 Whether bamboo as a material will have any future significance also depends on another political decision, namely, "whether the Brazilian government will follow the Chinese government in making vast areas of land available for growing bamboo, as there simply is a lack of material." Gabriel Patrocino from Brazil's design university ESDI cautions not to leap to conclusions. "Brazil certainly will have a role to play here; there is no doubt about it. But as yet it remains written in the stars when the country will get the opportunity to spearhead international bamboo design." Jorge Morán Ubidia, a grassroots activist from the Department of Architecture and Urban Planning from the town of Guayaquil in Ecuador, does not regard the phenomenon from a macro-economic perspective, but rather from below - with the eyes of the bamboo movement: "I believe that everyone involved in bamboo on a global scale is part of one big family," he says with a mischievous smile. "We identify with the material's qualities: we are tough, resistant, fast-growing, flexible, and the wind won't break us - we'll always get up again." Romantic as this may sound, in South America - where all is "tougher but also more magical than anywhere else" (Raúl Lloci) - this may in fact become a reality.